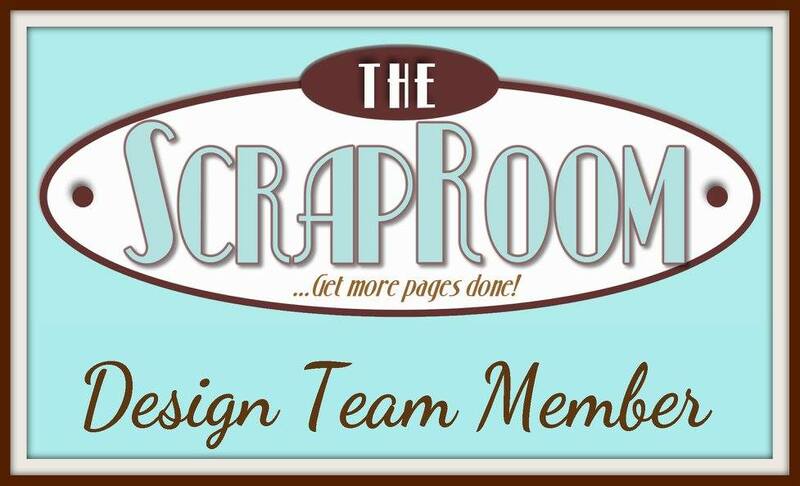 Today I am sharing the layout I created for The ScrapRoom. 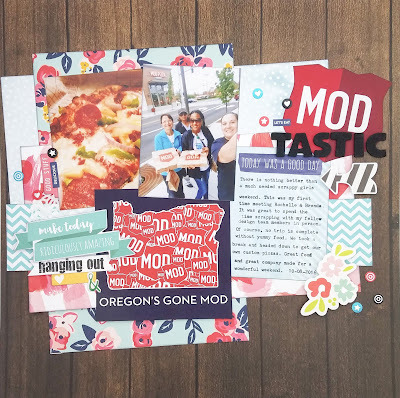 Bright fun colors with fun patterns make scrapbooking so fun! 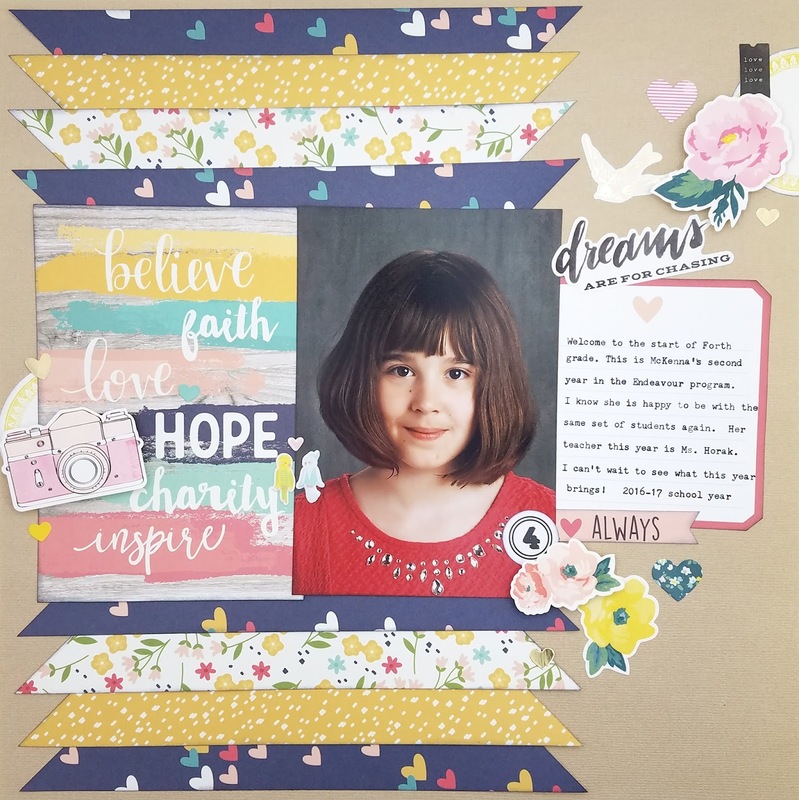 I used the Shimelle, Echo Park, Fancy Pants and Dear Lizzy papers in the Shots of Life and Patterned Paper Add on kit for this layout. 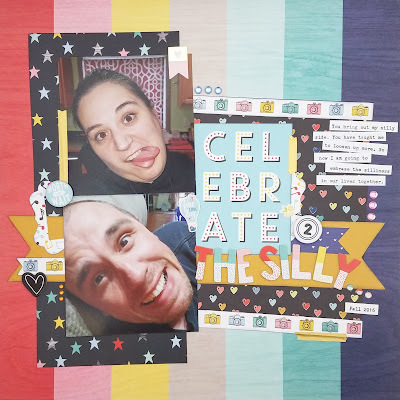 The embellishments are in the Shots of Life kit. I finished off the page with some Thickers and the Thickers ruler that I got from The ScrapRoom shop. The ScrapRoom has several kits to choose from including several add-on kits. 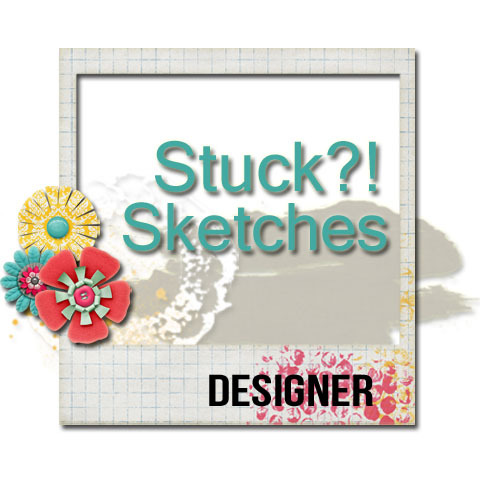 Each page kit includes enough supplies to at least create a double 12x12 layout. And since the add-on kits coordinate, you can really expand the number of layouts you can create each month. If traditional style layouts aren't your thing, they also have a pocket scrapbooking kit called Shots of Life and they are introducing a card making kit! I love that the Shots of Life kit from The ScrapRoom include the latest and greatest goodies available. I combined some Dear Lizzy and Shimelle papers for this page and then used some Crate Paper stickers. I then finished up the page with some Thickers and the Thickers ruler that I got from The ScrapRoom shop. So I am not a disney girl. I went once when I was a little girl and that was it, so I decided to use the Echo Park part of the Shots of Life kit to document these fun photos from a ScrapRoom girls weekend last October. I used some of the cards and die cuts for this double page pocket layout. I of course broke out my new (to me) vintage typewriter to add my journaling for this page. I hope this has inspired you to join us with this challenge. I can't wait to see your creations. Each month a designer creates a two page layout as our recipe layout. Subscribers receive the instructions to duplicate these layouts with their own kits. 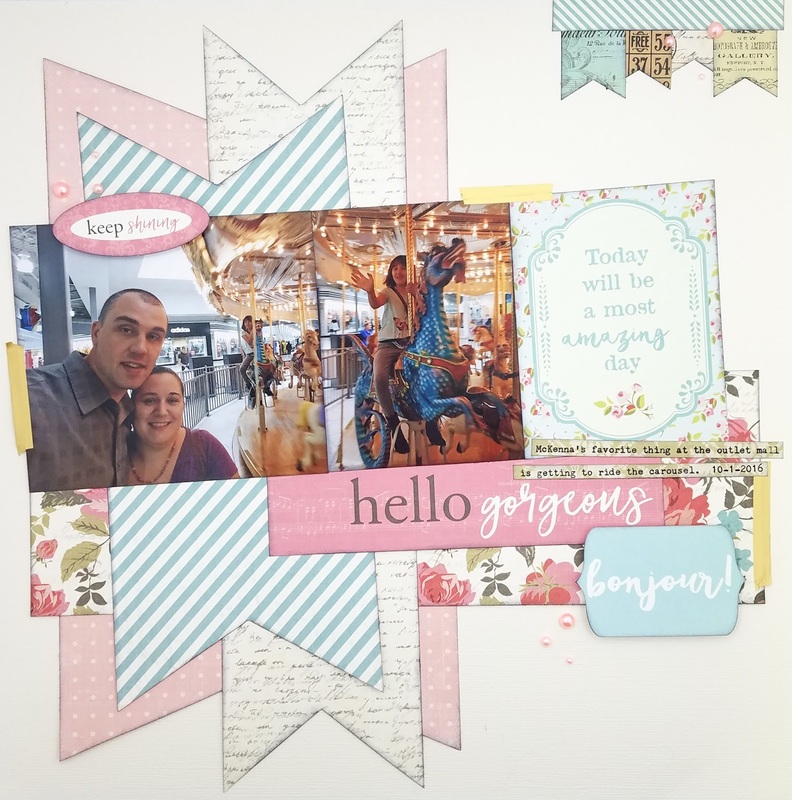 This month my layout uses this page kit from Paper House. This page kit includes some really great patterns that I loved working with on this page. My favorite part is the fact that I used my typewriter to add my journaling to the typewriter sticker that is on the sticker sheet. 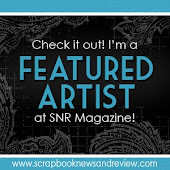 Today I am sharing the layout I created for The ScrapRoom. 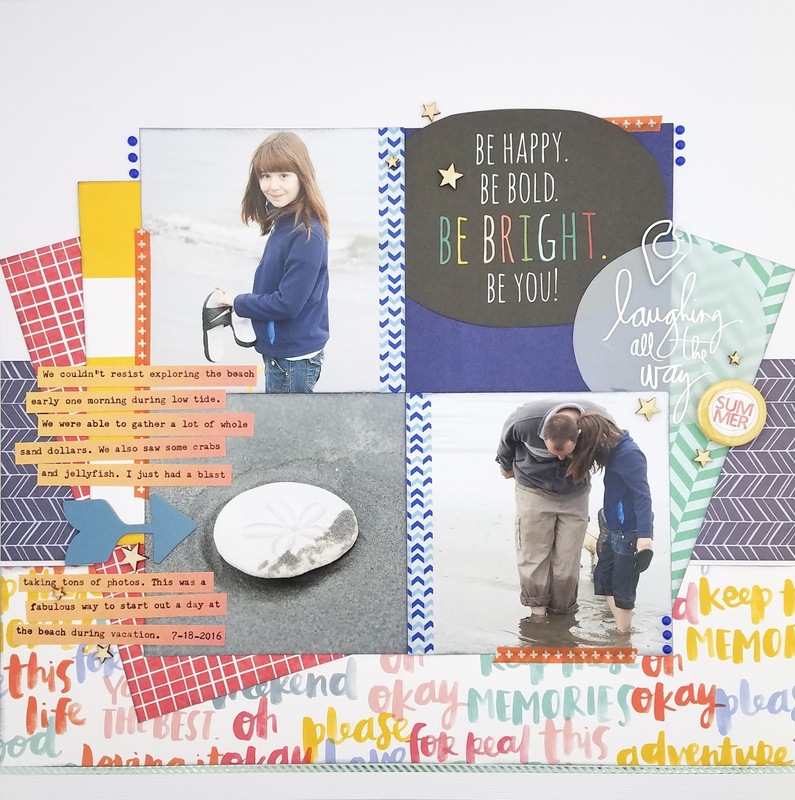 I created this page with the PhotoPlay page kit that is in the DoubleShot kit. The ScrapRoom has several kits to choose from including several add-on kits. Each page kit includes enough supplies to at least create a double 12x12 layout. And since the add-on kits coordinate, you can really expand the number of layouts you can create each month. 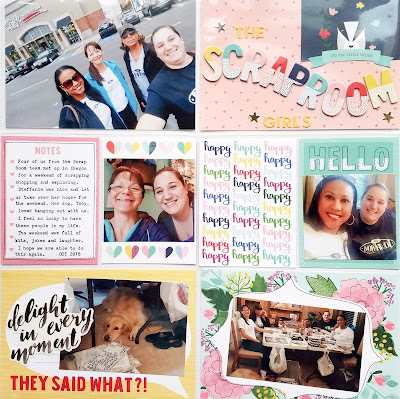 If traditional style layouts aren't your thing, they also have a pocket scrapbooking kit called Shots of Life and they are introducing a card making kit! The soft colors and vintage feel of these paper from Photoplay Paper threw me for a bit of a loop at first. 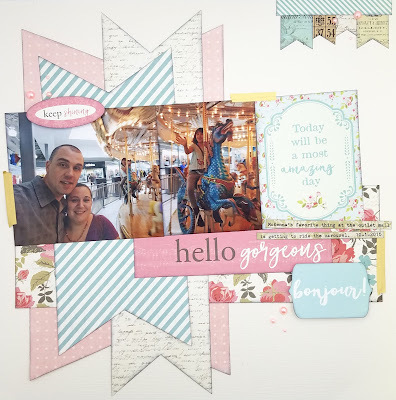 As soon as I remembered these photos of a visit to a carousel, I knew they would be perfect with the papers for this layout. Hello April! I can't believe that Spring is here and that we are already into the 4th month of 2017. I have now been back to working full-time since the new year and I keep thinking that I will settle into a new routine and find some more time to scrap. Honestly, that hasn't happened yet. All I have managed to do is scrap for my design team assignments. I truly miss having the option to scrap during the week. I have really been loving these Tic Tac Toe challenges each month at Scrap Our Stash. This month I decided to use the right column. 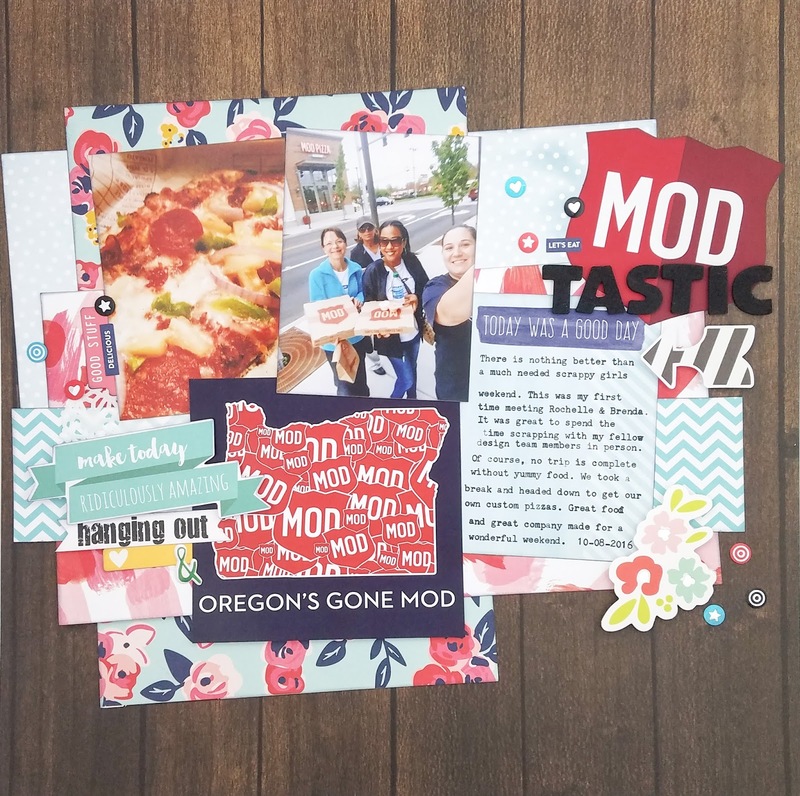 I started with Chevron Paper, Ephemera (I got the MOD sticker and the "Oregon's Gone Mod" postcard when we got dinner) and Thickers (second part of my title). I then added some embellishment to go with my fun papers and it all just "pops" off the wood grain background. I can't wait to see which Tic Tac Toe you use for your project! 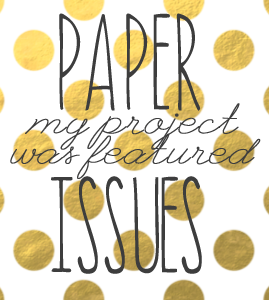 Supplies - Patterned Papers: Pebbles, Simple Stories, Amy Tangerine. 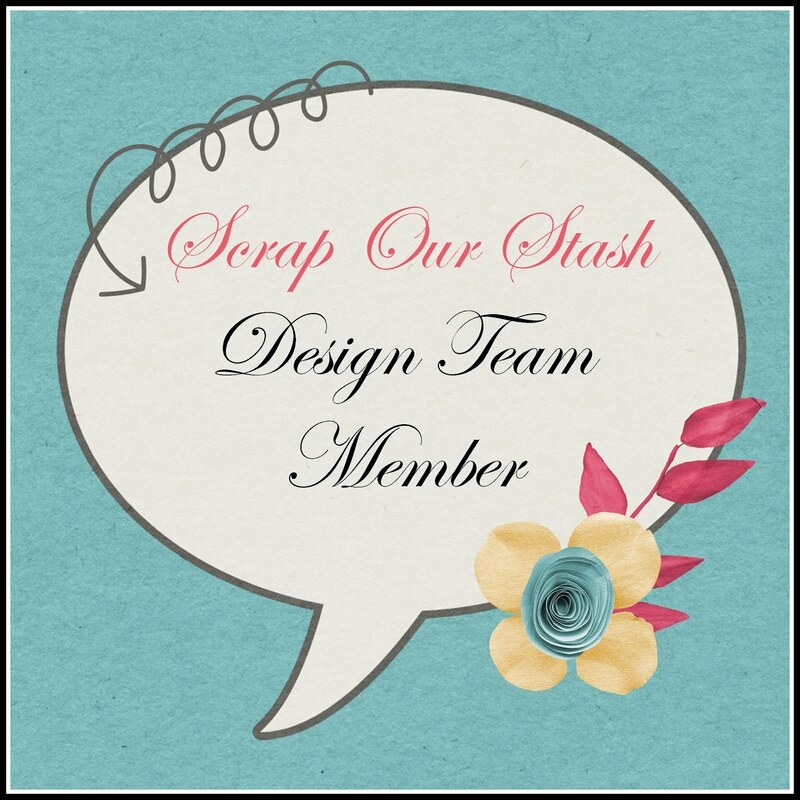 Embellishments: American Craft Thickers, Jillibean Soup, Pretty Little Studio, Project Life, Queen & Company, Dear Lizzy. Today I am sharing a layout for The ScrapRoom. I always love how the Patterned Paper Add-On kit coordinates with the Shots of Life kit. It makes it easy to combine kits to create more layouts. I paired the Simple Stories papers with some stickers from Crate Paper and Dear Lizzy to create this page. I changed up the sketch to work with 2 vertical photos. I love how the triangles of patterned paper really draw the focus to the photo. You can easily make those triangles into just regular strips or even just reduce the number of them. Hi! 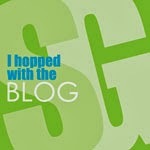 Thank you so much for checking out my blog. I hope that you like what you see. 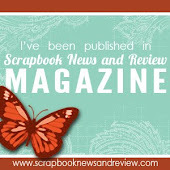 I have been scrapbooking for over 12 years now and I have loved every minute of it!